Organized yearly by the Manila Economic and Cultural Office and its commercial affairs section, the Philippine Trade and Investment Center in Taipei, the Philippine Business Forum in Taipei is the flagship platform to present investment and business opportunities for Taiwanese business to partner with the Philippine Business Community and Industry. This is very timely, as Taiwanese industry players, are repositioning their strategy in light of recent global trade and economic developments and conflicts between major global markets. 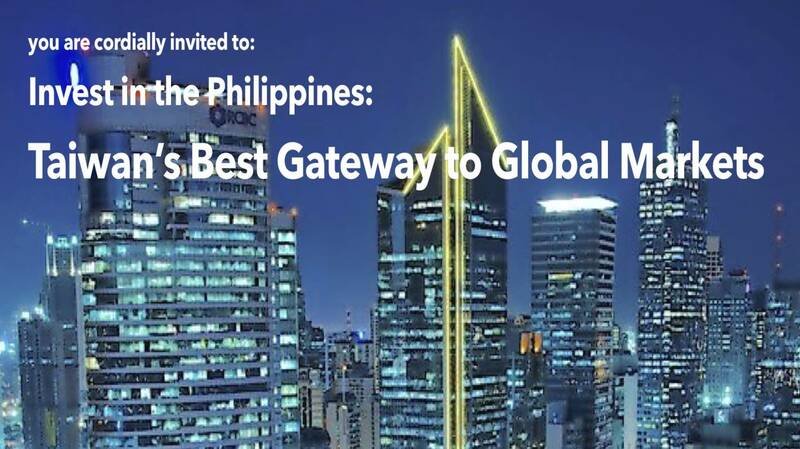 Key Trade Officials from the Philippines, Representatives from government Economic Zones and Private Sector Leaders and Economists will present current opportunities and investment trends for Taiwanese businesses and industry prime movers to an audience composed of important business leaders, industry associations and entrepreneurs from Taiwan.